Finally, a Practical Method for the Development of Brain Power! Even if Especially if youve never had success with brain-power boosting programs! You are about to discover what might be the most effective program ever developed to boost brain-power. You dont need to buy any drugs, pills, or herbal remedies. You dont have to stick to a special dietthough a healthy diet is recommended! You dont need to stand on your head, zap yourself with electricity, meditate with crystals or even so much as wear a mood ring. You probably didnt learn these techniques in school, which is a shame because the majority of the population would be better off if they did. If youre like most people, in school you were probably tossed a bunch of facts you were expected to remember. Youve probably forgotten most of them by now, havent you? The problem isnt you. It isnt that you have a poor memory. It isnt that you have a short attention span. It isnt any of those excuses that have been made for you, or that youve made for yourself. Actually, it is that you have a poor memory or a short attention span. But its not your fault! The problem is that a number of facts were thrown at you, and your mind never received the proper training in how to manage that information. If youve ever felt overwhelmed by information overload in todays world, it is not because you cant handle all that datait is because your mind was never trained how to handle it! Some will score purely by chance, but most will play around with the ball, feeling like theyre at least doing something, but never quite sure what they should be doing with the ball. Wed never tolerate that kind of hit-or-miss coaching attitude, yet we put up with it when it comes to something more importantour minds! Most people go through life never quite sure of what they should be doing with the ball thats been tossed to them. We assume that we ought to know what to do with it, and make excuses for why we dont. Now is the time to stop blaming yourself and finally learn the right way to exercise your brain. You cannot become an exceptional athlete without training, so why do we expect to become exceptional thinkers without the same? Accomplish the goals you set out to do! Now is the time to stop dreaming, and start laying the foundation for achieving your dreams. How to possess a mind that remembers fully, reasons rightly and thinks constructivelya mind overflowing with mans richest treasure, wisdom. How to Train Your Mind is more than just an ebookit is a comprehensive program for mental development. This isnt a program for geniusesin fact, it was not developed for geniuses! It was developed for the average person who wants to increase his or her mental powerthe power to remember fully, to reason rightly and to think constructively. There are no drugs to take, no pills to swallow. This program does not require any sort of herbal concoctions. You dont need to contort your body into unnatural positions. A comfortable reading chair will do just fine! For your convenience, How to Train Your Mind is designed for easy printing and can be printed double-sided (recommended) or single-sided. There is a color section for some of the training exercises; these pages are best printed on a high resolution printer to capture the fine details required. Most pages are black and white. Please note that printing the ebook is not necessary. If you are comfortable doing the exercises on your computer screen, you don’t need to print them. However, in that case, a journal or blank paper will be needed to perform some of the exercises. So, How Much Does This Complete Program Cost? Since this is an ebook, there are no printing and shipping costsplus you can download instantly. This allows us to offer it for much less than it would cost if it were a bound hard copy manual. You get this incredible program for only $16.77! Dont wait another minute to order at this low price! One you place your order, you will be directed to the download page, where you can download your brain training manual and get started immediately. How to Train Your Mind is in PDF format, so it can be viewed on any computer (PC or Macintosh). You can read it on your computer screen, or print out your own copy. That’s right. Not only do you receive the How to Train Your Mind program for a super price, but you also get to try it out for a full 60 days! You get all that for only $16.77! I want to make it easy and affordable for you to get started with this brain training program. That’s why it’s aggressively priced at just $16.77. Don’t delay—buy now! Remember, you will learn how to train your mind to control and increase your attention, how to rule over your mental kingdom with an iron fist, how to avoid worry and so much more! If you need to be more efficient at work, if you need overcome bad habits or if you need to increase your focus and accomplish your goals, then don’t hesitate to start this brain training program right away. 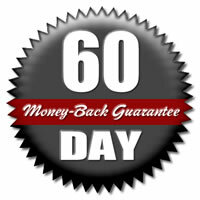 You have much to gain and—with a full 60-day money-back guarantee—nothing to lose. And you’ll be able to download and start on your brain training program immediately after purchase. Click the button below to order now. You will be able to download your product immediately after purchase. 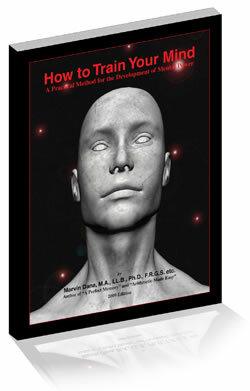 The How to Train Your Mind eBook is in PDF format and requires the Adobe Acrobat Reader to open. Files are compressed in ZIP format for smaller filesizes and faster downloads. A utility such as WinZip is required to unzip (expand) them. P.S. Once youve downloaded your ebook, it is important that you read the ebook from cover to cover. If you skip around, you will miss important details and you will not gain the full benefit of the material. As mentioned earlier, this program is not designed for people looking for a quick fix to their mental deficiencies. This is a program designed for the development of mental capacity. It needs to be studied and practised to achieve results. Some results may be gained faster than others, but it is important to study the material closely and gain such a familiarity with the content that its principles will remain in your active consciousness at all times. As a student athlete will not become a star athlete overnight, nor will you become a mental giant overnight. The brain, like the body, requires practise, training and exercise to reach its full potential. Disclaimer: The accuracy and completeness of information provided in How to Train Your Mind and opinions stated therein are not guaranteed or warranted to produce any particular results, and the advice and strategies, contained therein may not be suitable for every individual. The author shall not be liable for any loss incurred as a consequence of the use and application, directly or indirectly, of any information presented in this work. The author is not engaged in rendering legal, accounting, or other professional services of any nature. If legal advice or other expert professional assistance of any nature is required by the reader, the reader is encouraged to seek out the services of a competent professional trained and licensed to provide advice regarding the specific area of inquiry. ClickBank is a registered trademark of Keynetics Inc., a Delaware corporation. HowToTrainYourMind.com is not affiliated with Keynetics Inc. in any way, nor does Keynetics Inc. sponsor or approve any HowToTrainYourMind.com product. Keynetics Inc. expresses no opinion as to the correctness of any of the statements made by HowToTrainYourMind.com in the materials on this Web page. Copyright 2007-2010 Canville Communications. All rights reserved.